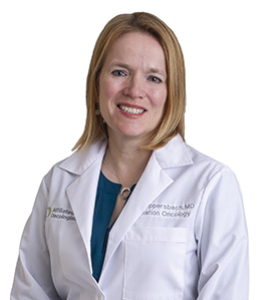 Dr. Aippersbach’s clinical interests include Breast, Colorectal, Gynecologic, Lung/Thoracic, Melanoma, Myeloma, Sarcoma, Brachytherapy, as well as CyberKnife, and Stereotactic Body Radiation Therapy. She believes in empowering her patients to participate in their own treatment and in providing care with dignity and respect. Dr. Aippersbach recognizes that cancer is a complex disease and works with each patient to develop a multidisciplinary and collaborative plan to treat them as a whole and complete person. She aims to work with patients and those closest to them to deliver care unique to their needs that minimizes side and effects and achieves their goals.